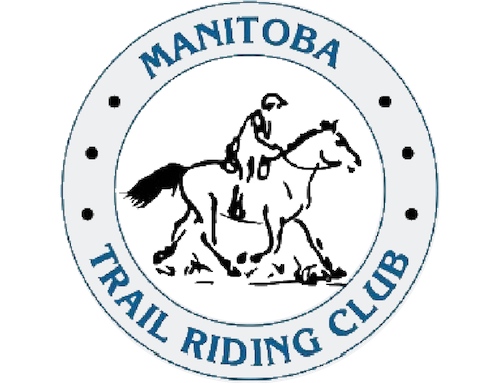 The Manitoba bred horse sponsored by Evelyn and Larry Allen went to “Brimi”, owned and ridden by Carrie Schellenberg. Here are the 2016 champions: Congratulations to all of you! Rookie of the year was Tammy Storie. Annual General Meeting on Sat. Nov. 5 saw a good attendance, how about making it 100% next year? Thanks to the members who came to the AGM. Thanks to the new board for stepping up and being so enthusiastic. A very successful Bud, Spud and Bird was attended by about 90 people. The food was incredible and it looked like all had a great time. Many, many people helped out and donated to the silent auction. Thanks so much to all. 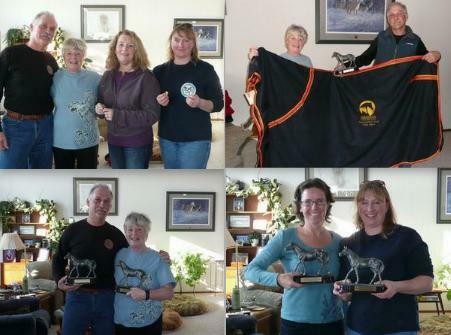 Thank you to Darice for pictures of our winners. The winners of the 2015 ride season are as follows – Congratulations! Thank-you to all who attended our fundraiser and especially to Hailie, Camille, Angela R, Carla, Natalie and Debbie who spent the afternoon of Nov. 7 setting up the silent auction. 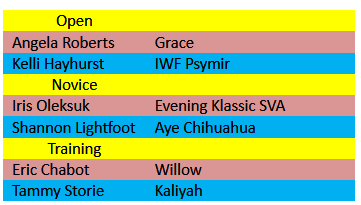 Congratulations to the following riders and horses. Juniors Abby Manness and Ethan Garn each received a framed picture to commemorate their fabulous year. Congratulations! The novice division was won by Ginette Paille. Hope you’ll like your blanket. The reserve novice division was won by Terry McKee. 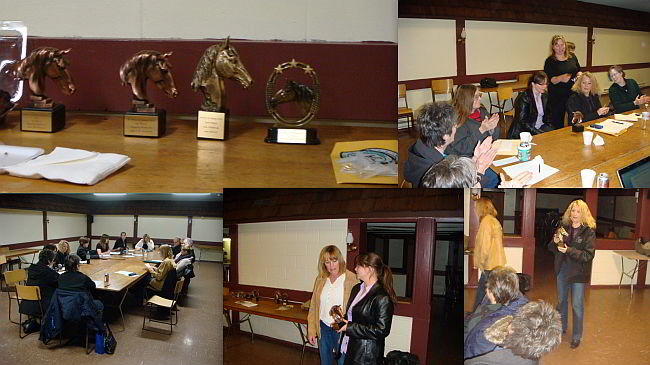 She received an engraved horse head trophy. There was no open division due to lack of competitors. Congratulations champs, and thank you, volunteers! And our most sincere thanks to the volunteers – the backbone of the club!